Cost to replace the heat exchanger of a furnace varies greatly by region (and even by zip code). Get free estimates from air-conditioning and heating contractors in your city. Cost to replace the heat exchanger of a furnace varies greatly by region (and even by zip code). 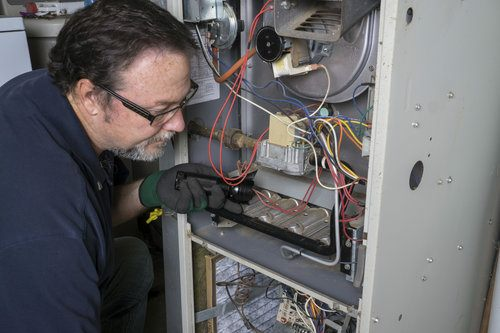 The average cost of repairing a furnace is $1,000 - $1,700​. How much does it cost to replace the heat exchanger of a furnace? The heat exchanger, or heater core, is the most important part of your furnace, as it is hub of all combustion and heat-related activity. The most common mishap in a heat exchanger is a crack, which happens from the metal changing temperatures. A cracked heat exchanger is typically noticed when the homeowner reports not having heat or when the carbon monoxide detector goes off. The good news is that heat exchangers typically last 15-20 years. We'll look at the cost of replacing a standard heat exchanger, which costs $1000-$1700. 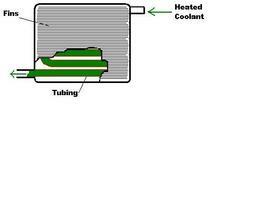 Materials: a typical heat exchanger costs $300-$500. Older furnaces may have heat exchangers that are harder to find, and therefore, more expensive. Labor: most HVAC contractors charge $85-$95 per hour and will typically take 6-8 hours to replace a heater core 1. Expect total labor costs of $510-$760. For furnaces that are 10 years old or older, it may be a better choice to replace the entire furnace than just the heat exchanger. Talk to your HVAC specialist for a specific recommendation. A common electric furnace can be installed for $2000-$4000. A cracked heat exchanger can leak more carbon monoxide into the home. If you are worried about the aftermath of this, a carbon monoxide detector 2 can be purchased and plugged in for as little as $15. Some heat exchangers may crack when the furnace is still under warranty. If this applies to you, contact the furnace manufacturer about payment options. How much does it cost to replace the heat exchanger of a furnace in my city? Cost to replace the heat exchanger of a furnace varies greatly by region (and even by zip code). To get free estimates from local contractors, please indicate yours. Cost Considerations: Older heater cores may be harder to find and therefore more expensive. It may make more sense to replace the entire furnace in an older system. Replacing a standard heater core costs $1,000 to $1,700. Installing a new electric furnace can cost $2,000 to $4,000.